You’ve ordered and received your preschool and/or kindergarten graduation gowns. Graduation day is coming up fast. And your little graduate is getting excited for the big day. 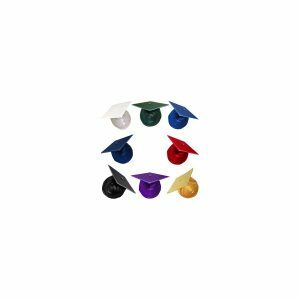 With all of the build-up and graduation planning, don’t forget to properly care for your graduation caps and gowns. We’ve got 5 ideas for you to make sure your kids look their best on graduation day. Your graduation gowns should be ready to wear when you receive them. However, if you want to wash them, make sure Shiny Gowns are hand washed only. Matte Gowns can be machine washed on cold, and hang dried. Shiny Gowns require very little “wrinkle management.” Hang your shiny gowns on a clothes hanger for about 24 hours to release any wrinkles. You can also steam shiny gowns on low heat, if you’re pressed for time. To removed wrinkles in MATTE Gowns, iron or press the gown on very low heat, with a towel placed between the gown and the iron. Whether they are shiny or matte, graduation caps don’t require a lot of care. We do recommend keeping your grad caps in a dry location to prevent the mortarboard from taking on moisture from any humidity. And keep the cap flat ensure that the mortarboard does not get damaged. Both shiny and matte gowns should be hung on a hanger in a open area for at least 24 hours prior to graduation day. This will “de-wrinkle” your gowns so they look perfect for your little graduates. We understand many parents want to keep their child’s cap and gown. If your school or center allows this, the best way to store your graduation items is in a plastic case with tight lid. To prevent SHINY or MATTE caps and gowns from taking on mildew or mold, place clothes deodorants inside the case. Vacuum bags are also popular ways to store caps and gowns for many years. Congratulations to you and your little graduate on their big day! If you have any other cap and gown ideas for us, let us know. We always appreciate your feedback. To be fully prepared for your preschool or kindergarten graduation day you will need to measure every student. Rhyme University has taken the guesswork out of this somewhat stressful process. Use this handy “how to” guide to measure students and order gowns for your big day. Step 1: Schedule a measuring day. Measuring day should be 6-8 weeks before your graduation date. (Since children in this age group grow and change quickly, it should not be too far in advance.) Make sure you have plenty of time that day and a helper to measure each student. NOTE: Don’t forget to inform the parents of this day. They will need to prepare their child with the proper attire they need to wear on that date (i.e., proper shoes). Step 2: Gather materials for measuring day. Download and print our Size Chart and secure it to a wall. It’s an easy alternative to measuring tapes, and seeing the chart on the wall will get your kids excited to be measured. You can also use our Graduation Gown Worksheet to keep track of each student’s height and gown size. Step 3: Measure your graduates. Before you start measuring, make sure every child is wearing shoes that are similar to what he or she will wear on graduation day. Have each student stand straight and measure him or her from head to floor. Note their height on your Graduation Gown Worksheet (make sure you are measuring in feet and inches). NOTE: If you are ordering 6 months or more prior to graduation, add 1/2″ to 1″ to each child’s present height to allow for growth. Step 4: Ordering and receiving graduation gowns. Once you have every student’s height and gown size at the ready, place your order with Rhyme University. Call us at 1-877-472-3738 or visit RhymeUniversity.com to order. NOTE: Be sure to specify your distribution date when you order to receive your gowns in plenty of time. After you have received your gowns, distribute them to parents, and make sure to have each child try on their gown to ensure a correct fit. Did you find these steps helpful? Leave a comment for us. We always appreciate your feedback.